At some point in time, you will find it necessary to hire a rubbish removal company that has the ability to assist you in disposing of trash at home. In the case of home renovations, remodeling projects or a major tidying up, a reliable company that can guarantee fast and affordable waste management will be critical to getting the job done right and fast! If this is your first time hiring a garbage disposal company in South Australia, here is a quick overview of the different types of skip bins that waste removal companies in South Australia offer. Skip bins that are used for waste removal come in different sizes. They are subdivided into three categories. Mini skips are meant to hold an average of 30 standard size garbage bags. They are perfect for minor waste removal activities at home. You may choose from mini skips measuring 2m3, 3m3, and 4m3, with the last skip bin option that can hold between 40 and 45 household garbage bags. If you are removing a large volume of rubbish from home, it’s best to choose across skip bins that measure 5m3 and 6m3. Medium skips can hold up to 90 standard trash bags. 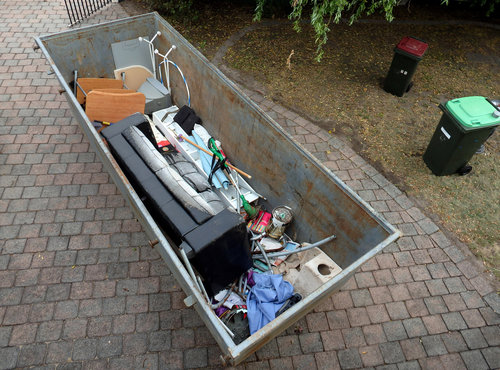 A large skip is definitely what you need if your garbage disposal efforts involve the removal of soil, old furniture, and bulky items such as appliances. A large skip can hold up to 135 household trash bags. It is also an excellent option for major renovation and remodeling projects at home. If you need further assistance in choosing the skip bin size for your garbage disposal efforts, you may call us now on 02 8325 3033 today.